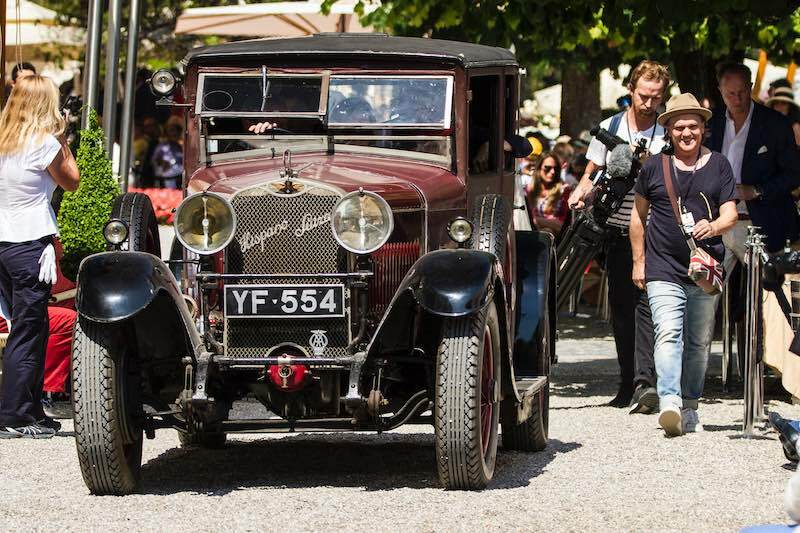 The 1927 Hispano-Suiza T49 ‘Weymann’ Sport Saloon by H.J. 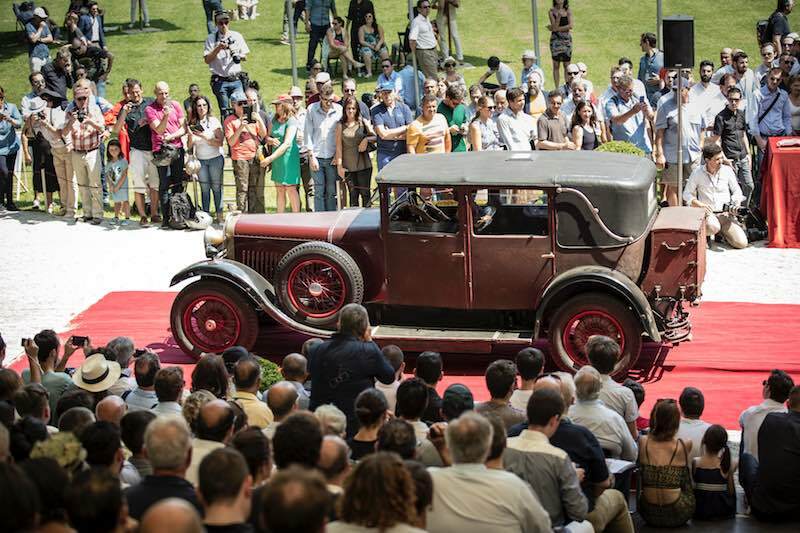 Mulliner owned by Marco Gastaldi won the ‘Trofeo FIVA’ to the best-preserved pre-war car at the 2017 Concorso d’Eleganza Villa d’Este. 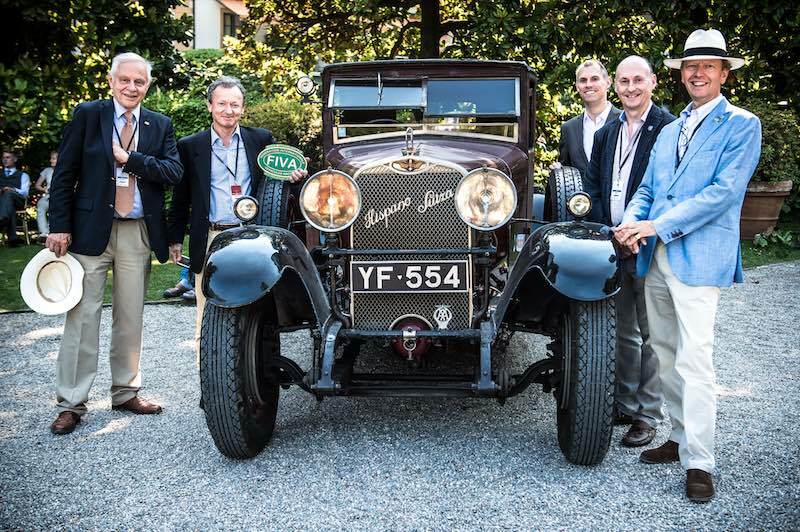 “Until recently the car had never ventured outside the UK, but Mr Gastaldi decided to take his beautiful Hispano first to America for Pebble Beach, then to the Middle East and on to Villa d’Este. 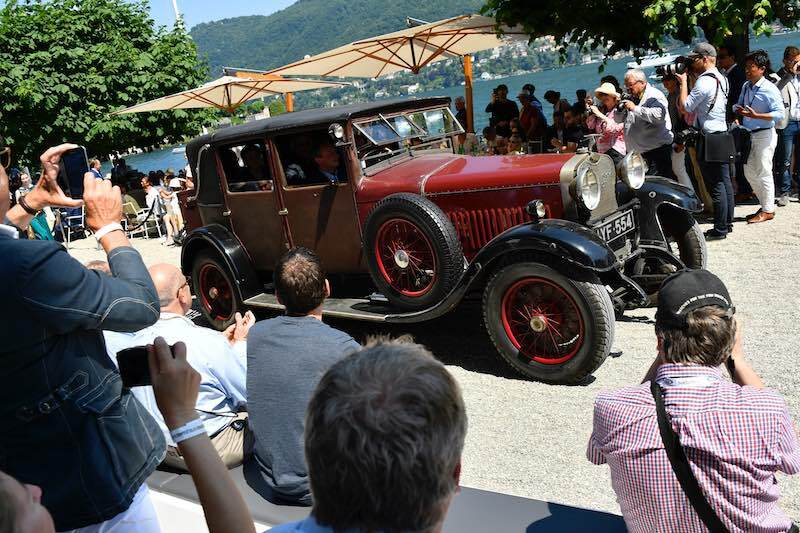 Happily, he tells us that as a result of winning FIVA’s preservation award, he feels even more inspired to continue with the car’s ‘world tour’,” continued Rollet. Sensation of the 1919 Paris Show, the Hispano-Suiza H6 allowed the company to compete successfully with Rolls-Royce and other luxury marques and led to the introduction of two smaller but closely related Mark Birkigt designs, the four-cylinder 2.5-litre T48 and six-cylinder 3.8-litre T49. 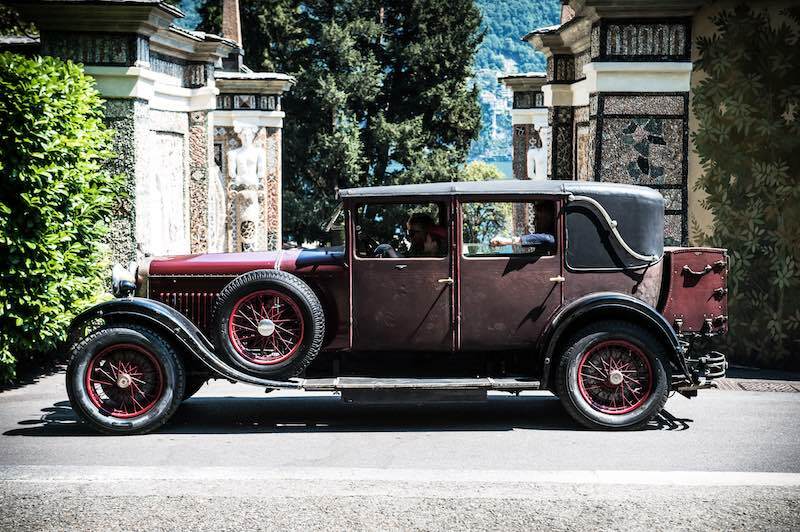 These two ‘T’ series models were in production from 1924 until 1933. T49 chassis number ‘7874’ carries Weymann-type saloon coachwork. This took its name from its inventor — Charles Terres Weymann — a Frenchman whose background in aviation led to him using a lightweight wooden framework for the body, held together by steel plates and covered with fabric. The principal advantage of the Weymann system was its inherent flexibility, freeing it from the squeaks, creaks and rattles that affected traditional coachbuilt bodies. It was an immediate success; as well as making bodies at its factories in France and (later) England, Weymann licensed production to numerous independent coachbuilders, the saloon body of this car being the work of H.J. Mulliner. The Barker-patented dipping Marchal headlights are another noteworthy feature. The car’s first owner Colonel Guy Geddes (born in Burma and a hero of Gallipoli) purchased it from Albemarle Motors, London in 1927. His initials are still etched on the doors. Following his death in 1958, it passed to Mike Slay in 1959 who, after initial use, placed it in storage. It took its next owner, Clive Sherriff, a few months to get it running again, much of his time consumed by a painstaking reconstruction of the complicated silencer to original pattern, although the chassis, engine and brakes were found to be in remarkably good order. Rarely are cars of the quality of this ‘time warp’ Hispano-Suiza discovered unmolested and it’s doubtful that any of the other surviving T49s, believed to number a dozen or so, are as original as ‘7874’.